We had nice warm weather for the last week of November, although Sister Rain visited us on Thursday and Sister Fog started the day with us on Friday. 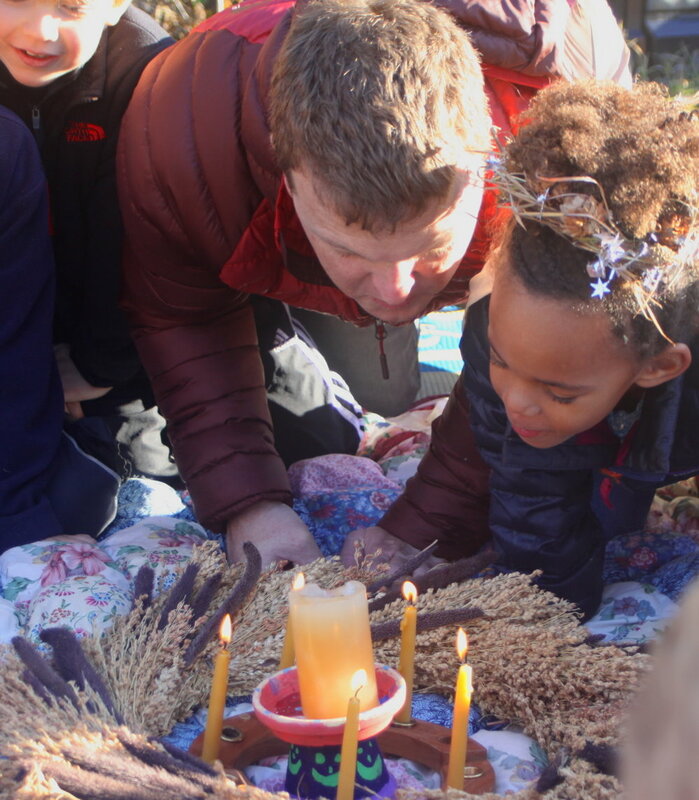 This week we celebrated Anya's 6th birthday with a visit with her parents, songs, poems, and fresh strawberries. Mason broke his leg on a trampoline (Ouch!) but he is back at school with us and healing well. 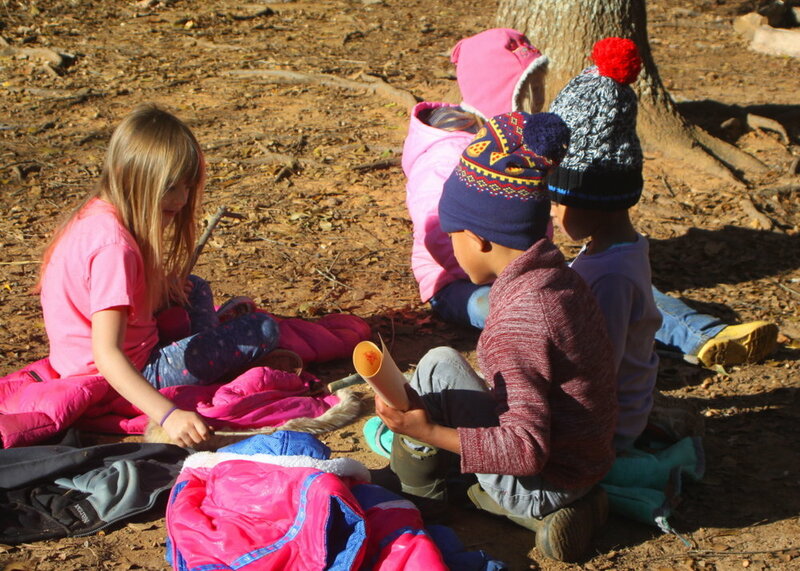 Kindergarten students went on a creek walk to look for animal tracks. We buried acorns for the squirrels. We worked on our crayon drawings and water bottle holders. We found some mud puddles! We practiced the songs we will be singing at the Advent Spiral. Miss Kathee helped us write new words to the 17th century English Christmas carol, I Saw Three Ships Come Sailing In. We continued to talk about class expectations for our kindergarten, with an emphasis on being kind and respectful to each other, to our teachers, to our toys and tools, and to all life.